USA Today draws fire, backs off 'race-themed' headline on box-office story. Universal's The Best Man Holiday made headlines this past weekend, opening this weekend to decent reviews, an extremely rare A+ rating on CinemaScore, and excellent box office numbers: $30.6 million, a close second to Marvel's Thor: Dark World, which earned $35.8 million in its second weekend. But films featuring predominantly black casts have been performing well for years, so why the hell are reporters still so shocked when a "black film" succeeds at the box office? When Sony released Think Like A Man in 2012, it earned $33.6 million in its opening weekend, before going on to rake in a cumulative $91.5 million domestic gross. Not a single one of Tyler Perry's five Madea movies took in less than $21 million in their opening weekends. Yet black films continue to be seen as niche movies that only appeal to a small subsect of the population, and their success remains an anomaly. 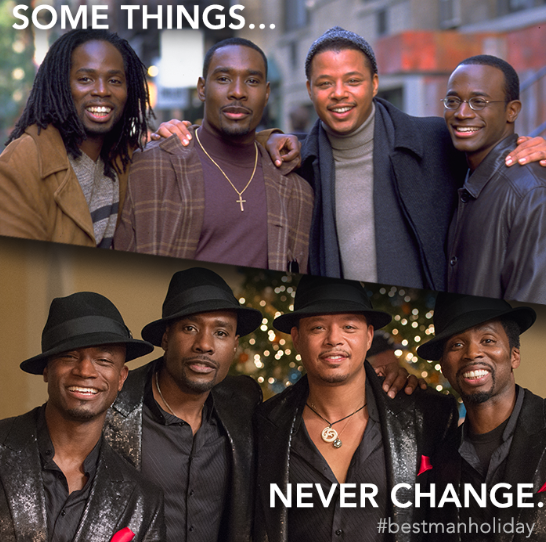 When The Best Man Holiday took in $30 million this weekend, entertainment reporters were quick to express their shock that the movie did so well. The phrase "over-performed" was thrown around by outlets, including Variety. Struggling behemoth USA Today also stepped into it, titling an online headline "Holiday Nearly Beat Thor, As Race-Themed Films Soar." After much outrage on Twitter, they changed "race-themed films" to the equally inelegant "ethnically diverse," before finally settling on "Best Man Holiday Nearly Beats Mighty Thor." Ray Subers, the journalist who runs Box Office Mojo, a well-known site for box office prognostication and analysis, summed up his shock with a tweet on opening Friday that read "Looks like at least $30 mil for BEST MAN HOLIDAY this weekend. Very surprising." His prediction for the film was a paltry $54 million cumulative—a figure that will easily be outpaced if the opening weekend successes continue.